Wealth, prosperity, good fortune… know anyone who wouldn't be delighted to receive all of these? 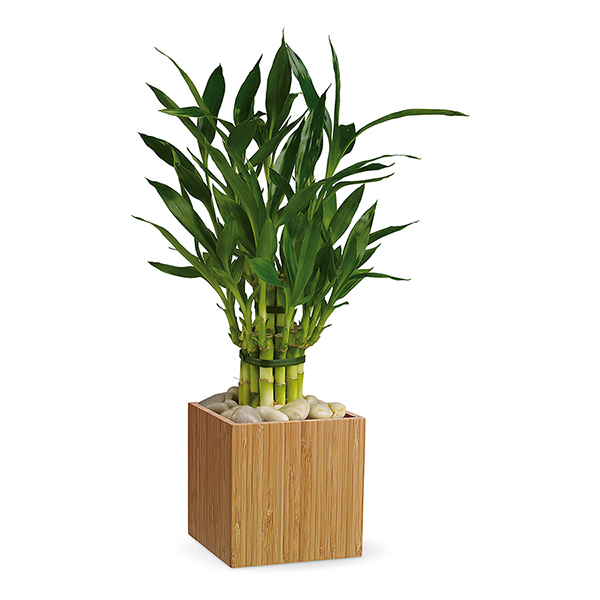 Our exclusive good-luck bamboo not only delivers good luck, it has good karma attached. Delivered in an wooden cube, it's all about being good to the earth, and being good to each other.